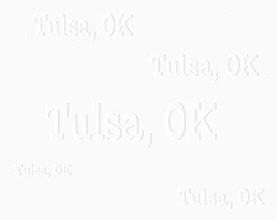 This is a spiral bound booklet of individually typed pages of memories of a group of senior citizens of Tulsa Co, OK. I purchased this book from the Friends of the Library Southeast Steuben County N.Y. These stories were written in 1983. The book contains a short autobiographical sketch by each author. I will leave out any information that might pertain to living people. If the sketch is complete I will note <complete> at the end. If you are interested in any individual author's sketch that is not complete please write to me and I'll send you a copy of the sketch.